As mentioned, the Zeitgeist of the fin-de-siècle physical sciences included a strong dose of anti-materialism, a desire to do away with brute matter and replace it with either energy or an ethereal medium. The demise of the mechanical ether models was followed by the emergence of a vigorous research program in which the ether was described by Maxwell’s field theory of electromagnetism. The English-American mathematician and author Charles Howard Hinton wrote a series of articles and books, including The Fourth Dimension of 1904, in which he claimed that the extra space dimension might explain physical phenomena such as the nature of ether and electricity. He suggested that the three-dimensional mechanical ether formed a smooth sheet in the fourth dimension, the thickness of the sheet being approximately that of “the ultimate particles of matter.” Among the few scientists of distinction who entertained similar ideas was the American astronomer Simon Newcomb, who in 1896 uncommittedly speculated that “Perhaps the phenomena of radiation and electricity may yet be explained by vibration in a fourth dimension” (Beichler 1988: 212). Although hyperspace models of the ether and similar speculations of a fourth dimension were well known in the fin-de-siècle period, they were peripheral to mainstream developments in physics, such as the turn from mechanics to electrodynamics. The fourth dimension caught the public imagination, was eagerly adopted by occultists and idealist philosophers, and became an important utopian theme in literature and art in the early twentieth century (Henderson 2009). Most physicists considered it a harmless speculation of no scientific use. Maybe it was harmless speculation then, but that is not too far wrong. 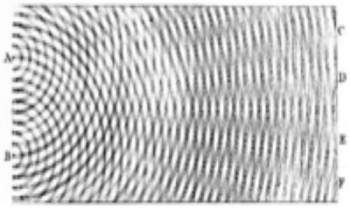 The preferred explanation of electromagnetism today is that of an invisible extra dimension. See this for details. The two pillars of this revolution – what today is recognized at the beginning of modern physics – were Planck’s quantum theory of 1900 and Einstein’s theory of special relativity dating from 1905. Both theories stood apart from the fashionable theories of the time based on ether, energy, and electrodynamics. Einstein’s theory operated with four dimensions, but these were quite different from the earlier hyperspace speculations: in relativity theory it is spacetime and not space that has four dimensions. With the recognition of the theories of quanta and relativity the ethereal world view so characteristic of fin-de-siècle physics became obsolete. 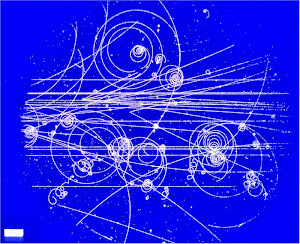 Einstein summarily dismissed the ether as an unnecessary construct, and the new theory of quanta proved incompatible with the electrodynamic ether embraced by avant-garde physicists. Just why do those revolutionary theories stand apart? 19th century thermodynamics and electromagnetism seem just as modern to me. Those theories are no more mechanical than 20th century theories.